I love any kinds of footwear, especially the ones that are comfortable, easy to wear, and stylish. So I was really happy to be invited to the boutique opening of a Spanish footwear brand - Flossy in Abreeza Ayala Mall. Flossy imbibes the quintessential vibe of carefree Ibiza. Their plimsolls are very comfortable and stylish fit for the new generation of youth. These handmade footwear was worn by bohemians, street artists, and sailing enthusiasts and it gained its popularity in Ibiza as a staple within the clubbing scene. The fame reached the UK and everyone is wearing it a summer footwear and now, it's available in over 40 countries worldwide. The original design yet not boring, the Flossy Arnedo features a vibrant range of solid hues such as Coral, Pastel Blue, Maroon, and Teal Green. This is the Flossy Ondara. The Ondara completes the range with a silver, and pale pink offering in crusted jewelled finishes perfect for casual and more glamorous occasions. They also have a lot of designs for you to choose. I don't know about you, but this Malaga Watermelon plimsoll is super cute! Inspired by the bohemian aesthetic, the Flossy Cadiz Floral, which comes in blue, black, or white floral designs, is ideal for the adventure-seeking or artistically-inclined bunch. They also have a wide variety of designs for men. The Flossy Madrid is available in blue, tan, or black. This is ideal for the preppy guys out there. They have plimsolls for kids too! You can have the same design with your kids and have that "Like Mother - Like Daughter" moment. I almost forgot to tell you that all Flossy footwear smells so good! It smells like candy! According to Ms. Alex Lizares, Flossy Style Brand Executive, it's a natural reaction to the specialized rubber that they use in making these stylish plimsolls. Thanks Ms. Alex and Ms. Mae Sanchez, from the Primer Group of Companies for inviting us to the opening of Flossy. 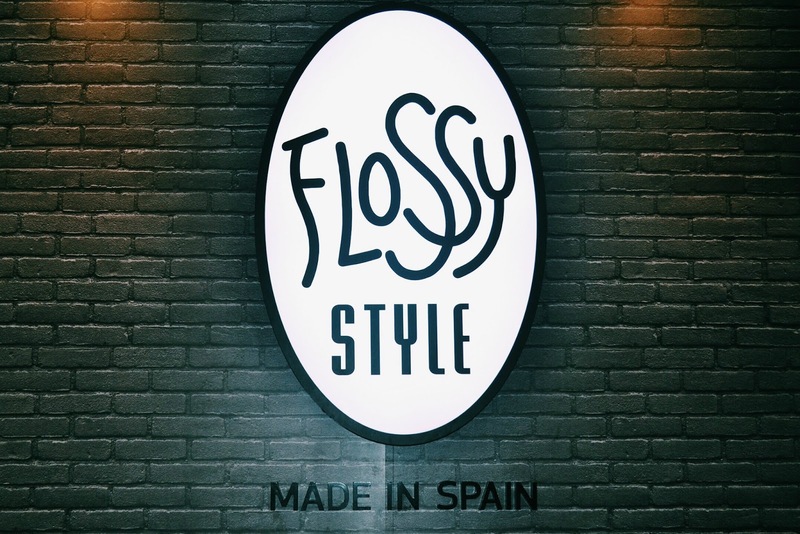 Visit the Flossy Boutique now and walk around in style and comfort with the latest footwear in the Philippines. That's it for today folks! Thanks for dropping by! Have a great day!